A cordless drill driver is a portable and convenient tool used for drilling holes and driving screws into a variety of materials. These powerful yet compact machines are used for both household and commercial projects. Homeowners can save hundreds of dollars annually in repair and maintenance costs by owing the right tools and equipment. A cordless drill is one such fantastic tool for the hands-on homeowner who does not like to call for professional help to fix and mend things around the house. Before you buy one, take a look at five of the most common features of a cordless drill/driver. A drill’s power is measured in voltage. The higher the battery’s voltage, the greater twisting strength the drill will have. However, the high voltage also adds to the drill’s weight. So if you want a device that’s easy to lift and carry around, you want to stick to the lower, light-weight models ranging between 10V and 15V. These drills, while they may not be to perform heavy-duty work, are good enough for light household work. Chuck is the component that holds the drill bit in place, so it’s important to know the size of the chuck on a drill you plan to buy. The drill bits you want to use should be able to fit into the chuck effortlessly. 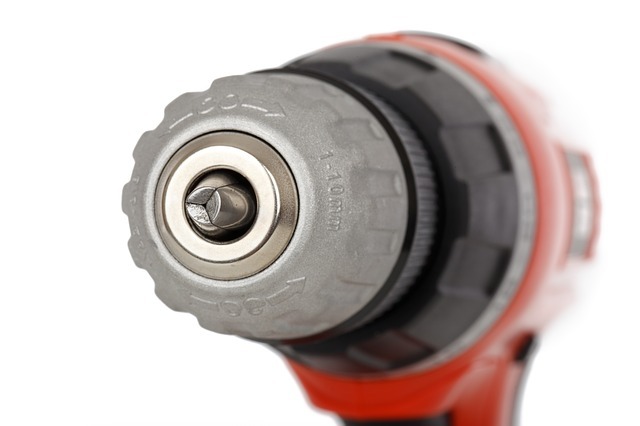 These days most cordless drills come with a half-inch chuck, which can hold almost all bit types. Remember that a standard chuck size will give you the flexibility to use your drill for a number of different tasks on a range of materials, from concrete to wood. Drills have a clutch that enforces a resistance mechanism when you’re using the drill. By setting the clutch to an appropriate resistance level, you can ensure that the force applied will not cross the set limit. This also helps protect the drill’s motor and battery against overheating. Most drills these days come with multiple speed settings that can be adapted to suit the job at hand. For instance, you might want the drill working at very high speed when blasting through a dense material and slower when driving screws. Drill speed is measured in RPM (rotations per minute), which can range from 300 rpm to as high as 1500 rpm. We recommend that you buy a cordless drill driver that has at least two-speed settings, if not more. Most cordless power tools come with lithium-ion batteries, an environment-friendly alternative to the conventional Ni-Cad batteries. Another advantage is that they’re lightweight, which helps reduce the overall weight of the drill. When you purchase a battery-powered drill, you will also get a battery charger compatible with the battery. If you’re buying a tool for commercial use, you want a charger that recharges fast—some commercial chargers yield recharge in as little as fifteen minutes. These are, however, costlier than standard chargers. Lastly, buy a cordless drill driver that has a T-shaped handle, which is easy to hold and easier to use compared to the conventional pistol handle.